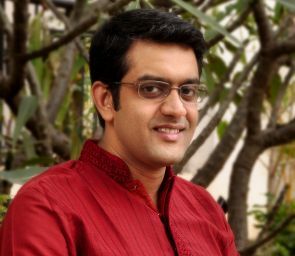 Sahitya Akademi award-winning author Vikram Sampath has stepped down as one of the directors of Bangalore Literature Festival in the wake of three Kannada writers deciding to boycott the event over his remarks on the return of awards and stance on the Tipu Sultan row. "I see from media reports and personal conversations in the last few days that several of my fellow authors and speakers have cited these two -- Tipu Sultan and 'award-wapsi' rows -- as the reasons why they are withdrawing from the upcoming edition of Bangalore Literature Festival that I, along with other citizens of Bengaluru, founded in 2012," Sampath told PTI in Bengaluru. After quitting the post on Saturday, Sampath said he hopes that the protesting writers would feel more comfortable about participating in the event following his withdrawal. "Since the protesting writers had a problem with my involvement in the festival rather than the festival's nature and character, I am hopeful that my decision to withdraw will make them more comfortable about participating," he said. Asked if the organisers had approached him about participation in BLF, Sampath said, "I am listed as a panellist in the festival programme. If the organisers want me to speak at the festival, I am happy to be there. Else, I will enjoy the sessions from home via live-streaming." Sampath had taken a stand against the move by eminent personalities to return their government-conferred awards amidst claims of rising intolerance in the country and said vis-a-vis the Tipu Sultan row that there was a "need for recognising multiple narratives in Indian historiography". He asserted on Sunday that he was not apologetic about his articles and continues to cherish the freedom of expression in the country. "I stand by my article(s) written in the past. I am not apologetic about them in any manner and will continue to cherish the freedom that my country gives me to air my opinion fearlessly," he said. "However, in the interest of the organisation that I founded and nurtured, which is now being linked to my personal views and targeted, I have taken the painful decision of stepping down from all responsibility of organising BLF," Sampath added. "Over the past few days, I seem to have become the target of personal attacks for, I believe, two reasons. First, my personal views on why I do not subscribe to the 'award wapsi' campaign. "And second was my stance on the recent Tipu Sultan row and the subsequent petition signed by me along with a group of very eminent historians, archaeologists, epigraphists and artists on the need for recognising multiple viewpoints and narratives in Indian historiography," he said. On the 'award wapsi' controversy, Sampath said he did not wish to return his Sahitya Akademi award as it was given by the people of India and conferred by an independent jury, not by a political party or government. "I had said then that it is a precious attestation of my work by my own community of writers and intellectuals and it was not given to me for being a political stooge," he said. On the Tipu Sultan controversy controversy, Sampath said: "As someone who has researched the history of Mysore for over 15 years, I believe I am entitled to have an intellectual standpoint on a matter of historical debate." Talking about BLF, he said that in no way was it 'Vikram Sampath's festival' as is being made out to be in the media and in letters written by protesting writers. "Anyone can evaluate the programming and the list ofspeakers in the last three editions and see that we have given equal space to all shades of opinion, irrespective of our personal views," he said. "I believe this is what a literature festival needs to be, rather than being something that is reduced to featuring a cabal of participants and organisers who agree with each other on everything," he added. Writer TK Dayanand, Kannada poet Arif Raja and literary critic OL Nagabhushana Swamy have boycotted BLF, which is slated to be held on December 5-6, in protest over Sampath's views on the return of awards and the Tipu Sultan controversy. In an email to BLF organisers, Swamy said his decision had come in the wake of fellow writers withdrawing from the event to register their disagreement against Sampath's stand on writers returning their awards.